Enable your non-Bluetooth audio devices, Talking Mp3 Player, Book Player etc to transmit or receive Bluetooth signals to or from other Bluetooth enabled devices from up to 160 ft away! It will also work with audio devices using these Miccus Bluetooth transmitters and receivers: Mini-jack TX, Mini-jack TX4, Mini-jack RX, Mini-jack AX4, or another Home RTX! This bluetooth transmitter/receiver is meant as a home solution with a wall adapter and isn't meant to be used portably. More information in the description below. You already have your television, home stereo, sound system and speakers. With the Home RTX 2, you can add wireless audio easily to your existing equipment without expensive, complex purchases. The Miccus Home RTX 2.0 is the ultimate hub and best buy for your home. It offers 2-in-1 flexibility as both a Transmitter or Receiver, doubling your audio opportunities. Connect to more devices thanks to Optical TOSLINK inputs/outputs. and 3.5mm analog ports. Transmit audio from your TV, computer, or any other audio device such as your Victor Reader Stream, Talking MP3 Player, etc, to your Bluetooth headphones or speakers. Pair it with Amazon Echo (Alexa), or any other bluetooth receiving device. OR Receive audio content on your home stereo sound system, and more from your MP3 players, book readers, smartphone, tablets, Laptop. Stream iTunes, Pandora, Spotify, Podcasts and more to your audio equipment. The Home RTX 2.0 far surpasses all as the market leader due to it's LONG RANGE capability. The Home RTX 2.0 has an operating range up to 160feet (50M). 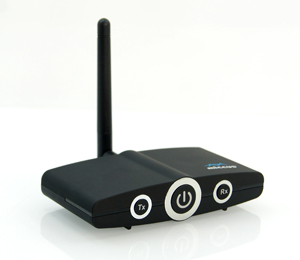 Other bluetooth transmitters are limited to 33feet leading to dropped signal, distortion, and crackling audio. 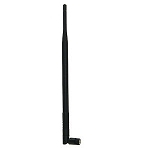 Boost the signal 20-40ft by purchasing the Miccus X7 Antenna in addition to the RTX. Or use two RTX’s together (one in TX mode and one in RX mode) and get increased operating range up to 220ft (line-of-site). With the Miccus Home RTX 2.0, stream music throughout your entire home including the garage, pool, backyard, garden and more. •Take your audio throughout your home up to 160ft instead of being limited to a 33ft range. The kids or roommates are sleeping and you want to listen to your podcast or music as you work in the kitchen, the garage, upstairs, downstairs, etc... Connect the RTX to your MP3 player, book reader, computer, tablet, smartphone and listen on your bluetooth-enabled headphones. Listen to your audio at your volume without disturbing others. •The kids and roommates are sleeping; you and your partner want to enjoy a late night game or movie. With TRUE DUAL LINK, the Home RTX 2.0 will pair and deliver aptx Low Latency audio to BOTH headphones. Many other adapters on the market cannot deliver aptx LL when paired with two devices, leaving the listeners annoyed with a 2-4 second audio delay creating lip sync problems. With the Home RTX, BOTH listeners enjoy ultra fast audio. •You need to grab a beverage or snacks from the fridge in the other room, the AUDIO GOES WITH YOU. As you turn the corner into the kitchen, go upstairs or downstairs, or open the door into the garage, your audio signal will remain strong up to 160ft. No drop outs or annoying audio stuttering. Don't miss a second of your game or movie. •Take your audio outside and enjoy the clear, strong bluetooth signal. Listen to the game or music on the patio while you grill. Water the flowers and listen to your music or audio book. •AUTOMATIC PASS - No switches or re-cabling thanks to an automatic optical bypass to your sound bar or stereo receiver making the Home RTX 2.0 a wireless audio hub. Daisy chain 2 or more together and get 2-3 times more channels of long-range wireless audio all with aptX Low Latency! •DESIGNED FOR THE ENTERTAINMENT CENTER - With minimal LED lights and a discreet black case, it blends in with your AV system. Use with Amazon Echo (Alexa), smartphone, tablets, MP3 player, book reader, CD Player, etc. •EASY TO USE & SUPPORT - Enjoy wireless freedom and high-fidelity audio thanks to the premium CSR8670 chipset. Simple voice prompts assist with RX pairing. •Audio codecs: SBC, AAC, aptX, aptX-LL, (NOTE aptX-LL use requires both devices in a pairing to support the aptX-Low Latency codec). •3.5mm Stereo Audio Input and Output, TOSLINK Digital Optical Input and Output. •Operating range: up to 160ft (50M), Operating Frequency: 2.4 GHz.